Home / DLSU / Sport / Somebody Please Give the DLSU Lady Spikers a Real Game! 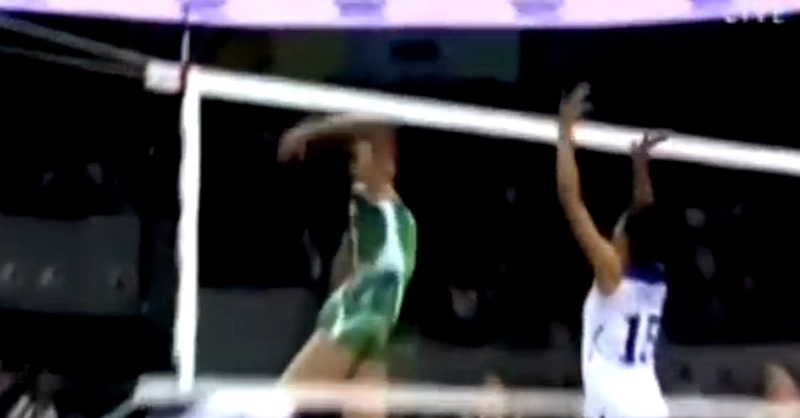 Somebody Please Give the DLSU Lady Spikers a Real Game! In the world of unequal citizens that is Season 76 of the UAAP women’s volleyball tournament, there seems to be three classes of participants at the end of the first round of competition. At the bottom of the pseudo-caste system are the University of the East (0-7) and the University of the Philippines (1-6). The two teams can never be faulted for lack of trying; but try is just about all they seem to be capable of. At the end of the day, neither team has the necessary pedigree or confidence to become anything but the teams that prop up the rest of the league. A notch above these two is a group of 5 teams who, when they play each other, always make life hard for pundits trying to predict the outcome of the games. Bottom of this class – surprise, surprise – are the UST Tigresses (2-5), arguably the season’s certifiable hard-luck story. The Tigresses gave the three-time defending champions De La Salle University Lady Spikers (7-0) probably their most difficult match in the first round and also lost a heartbreaking five-setter against last season’s bridesmaid team, the Ateneo de Manila University Lady Eagles (5-2). That is why I am hoping that somebody will give the Lady Spikers a proper game because it is only in adversity that mental toughness is kept sharp. History, after all, has been known to repeat itself. Top of this class are the National University Lady Bulldogs (6-1), with their height and power hitters considered among this season’s hot favourites. In between are Ateneo, the Far Eastern University Lady Tamaraws (4-3) and the Adamson University Lady Falcons (3-4). When the teams in this class played each other, they all invariably brought their A-games with them; and each looked perfectly capable of not only defeating the others but also of challenging the supremacy of the defending champions Lady Spikers. They hit hard; they blocked well. In short, they made the UAAP women’s volleyball tournament such a spectacle to watch. Except, of course, when they played against DLSU; and that is why the Lady Spikers seem to be in a class of their own at the top of the table. When these teams played against the defending champions, they looked scared and were error-strewn. The Lady Spikers so dominated the first round that they have yet to drop a set in the current season. Their longest match, ironically, was a mere 1 hour and 17 minutes against the Tigresses, bottom of the middle class of teams. The Tigresses, in that match, looked like they could find a chink in the armour of the Lady Spikers – as they habitually used to do in years gone by. Yet, the Lady Spikers still won in straight sets. As they did over the Lady Bulldogs, who were being touted in some quarters as the strongest challengers to the Lady Spikers’ title; and the Lady Eagles, who had gone on an impressive 5-game streak after losing their opening match of the season. The MOA Arena encounter with Ateneo, in particular, was notable for its almost abject lack of atmosphere, in stark contrast to last season’s matches between the arch-enemies. The Lady Eagles started well and even outraced the Lady Spikers to the first technical timeout. Afterwards, the Blue Side was well and truly silenced, so dominating was DLSU’s performance. The UST game aside, the Lady Spikers were ruthlessly clinical against everyone else; and I do not know if that is altogether a good thing. I actually often silently hope that one of the other teams had extended them by at least a set. A five-setter would have been a god-sent. It can be that the Lady Spikers will continue their outstanding form and comfortably streak to their fourth consecutive title. The psychological advantage that they enjoy over everyone else, after all, is plain to see. Or – and this is what I am wary about – the form can drop in the crucial homestretch to open the door for other teams to sneak in. One needs to look no further than 2010 when the Lady Spikers were almost similarly devastating in the early going but lost form and confidence heading into the knockout finals. UST fans will have fond memories of this one. Most of the current crop of DLSU players, of course, had already soaked in the championship atmosphere before. However, mental toughness can be fragile as glass and needs to be sharpened like a knife.